DUBUQUE, Iowa –Loras College’s sixth annual Duhawk Day, held March 14, tallied 1,693 donors, from 39 states, again exceeding its goal of 1,450.  The new record surpasses the previous record set in 2017 by 79 donors. The 24-hour event is centered around the College’s address, 1450 Alta Vista St.
During Duhawk Day, friends of the College are encouraged to give, wear purple and gold, and share photos and video from their events using #DuhawkDay. In addition, 10 different giving challenges spurred constant activity on social media while people across the country gathered at 14 unique Duhawk Day celebrations. 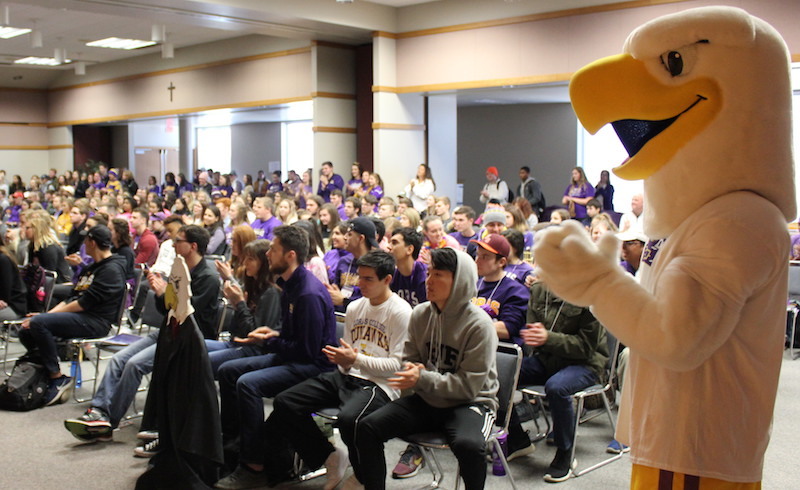 On campus, more than 300 current and prospective students rallied for Duhawk Day celebrating their school pride with skits, songs, Loras trivia and “Minute to Win It” fashion competitions. “Students were instrumental in making the day a success,” Schneider said. One of those students, Rachel Seidl, a senior from Urbandale, won the new “President for a Day” contest. The day determined by President Jim Collins (’84) and Seidl, is set aside for her to go behind the scenes as the leader of the College. Besides the inaugural contest, for the first time Duhawk Day was held in March rather than May. The move was made to better capture the excitement students bring to the campus. “You could feel the energy within weeks of the actual day and the whole campus was alive. It was awesome,” Schneider said. The next Duhawk Day is set for Wednesday, March 13, 2019.